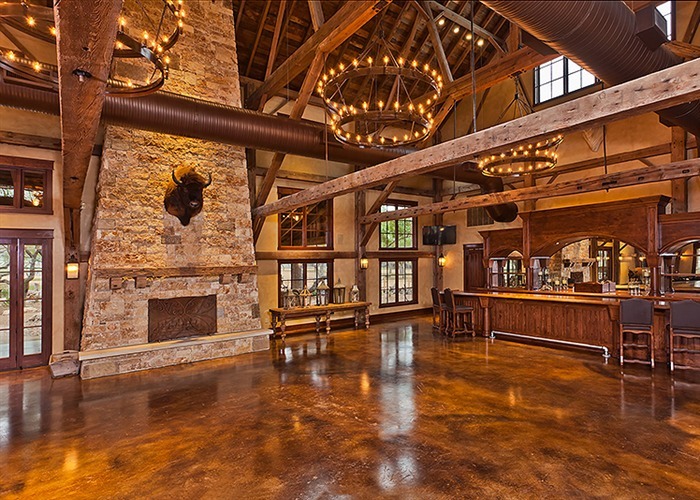 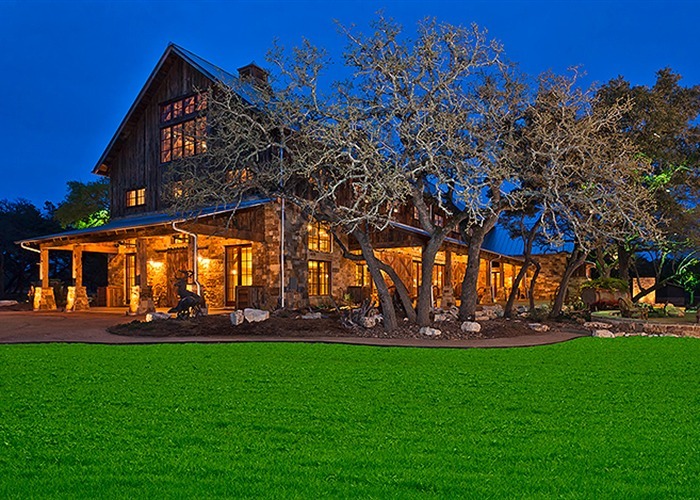 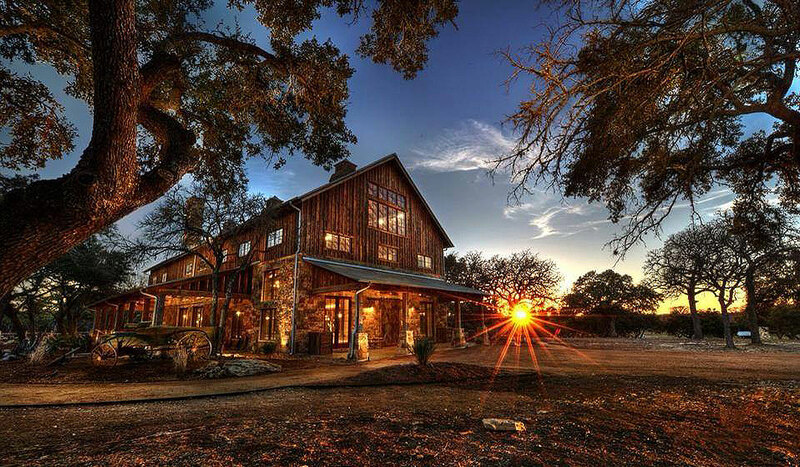 The Party Barn at The Branded T Ranch currently serves as a focal point and gathering place for weddings, corporate events and private parties on the ranch. 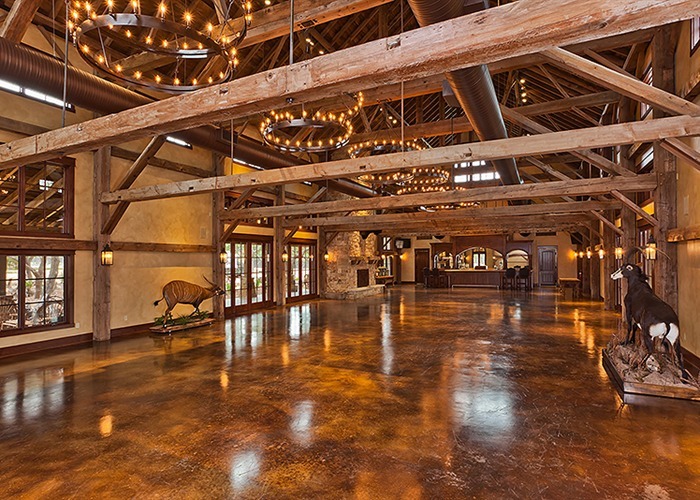 Originally constructed near the town of Millpoint, New York, circa 1870, this large English barn stood the test of time for 142 years. 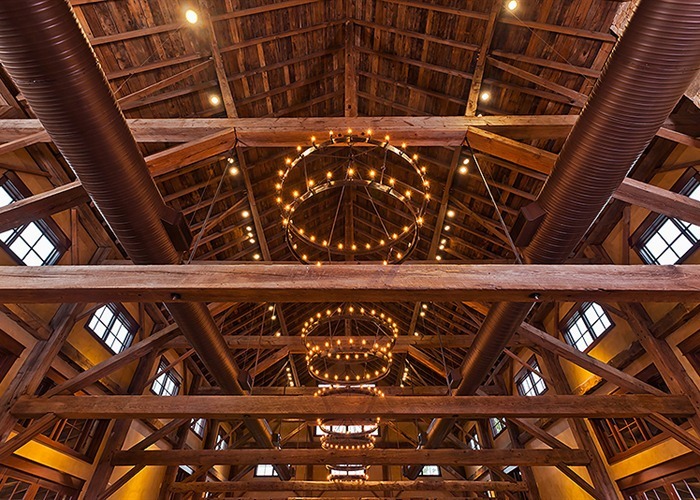 The process used to construct the barn is called “timber framing”, and is an ancient method of building that uses very large sawn hemlock timbers and a unique truss design in the three middle bents to hold the framework of the barn together without the assistance of any metal fasteners, as opposed to the modern steel fasteners used in today’s construction methods. 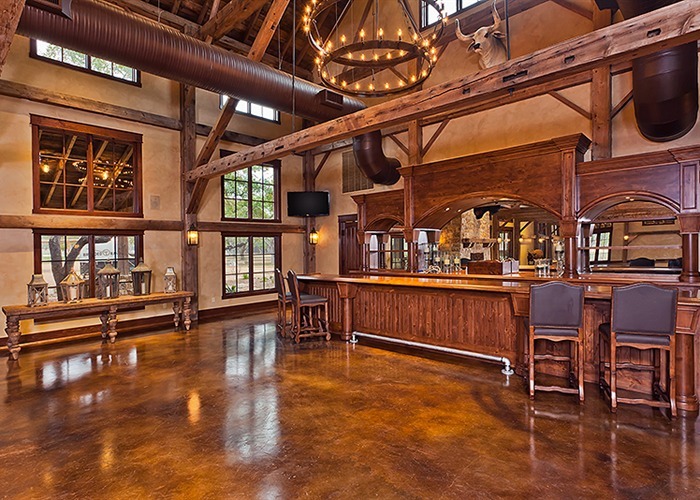 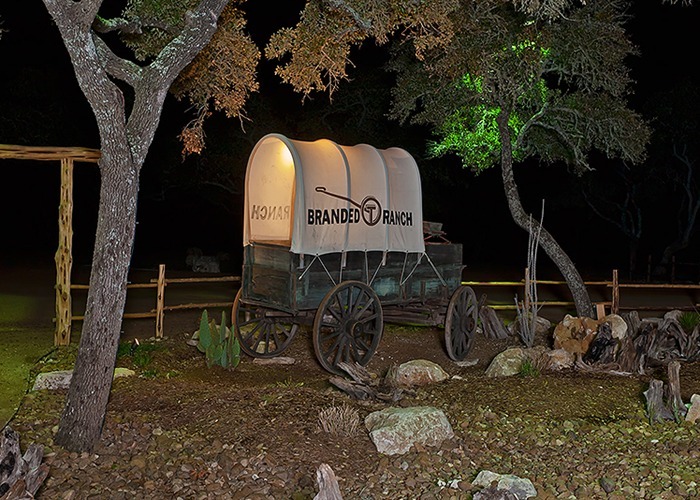 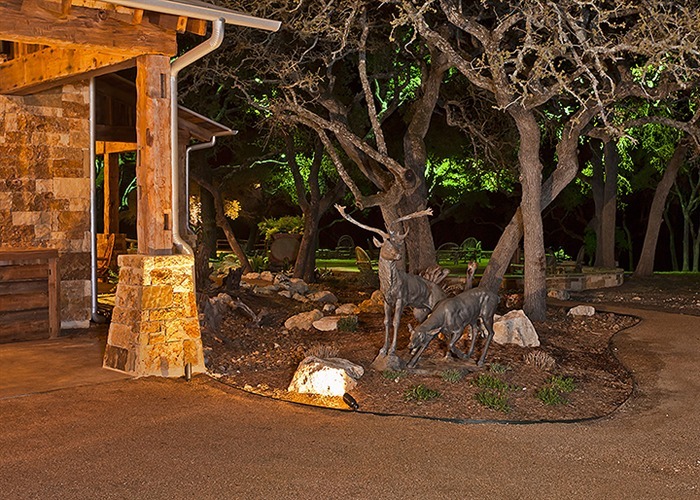 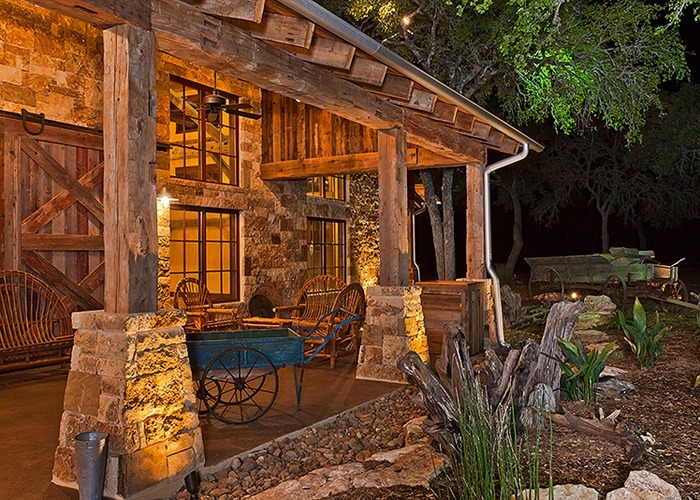 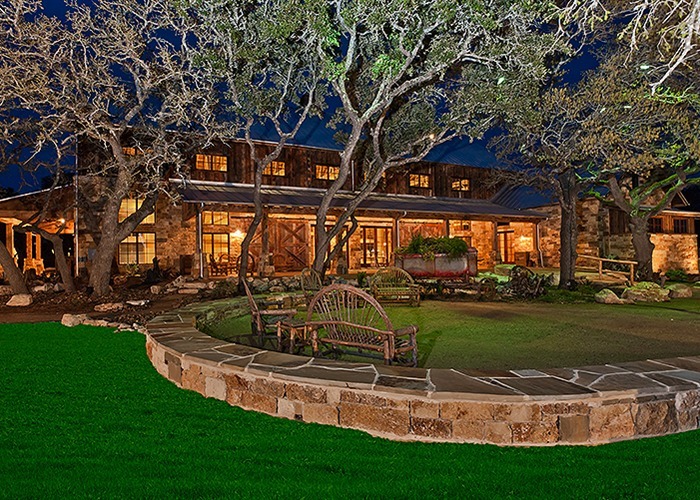 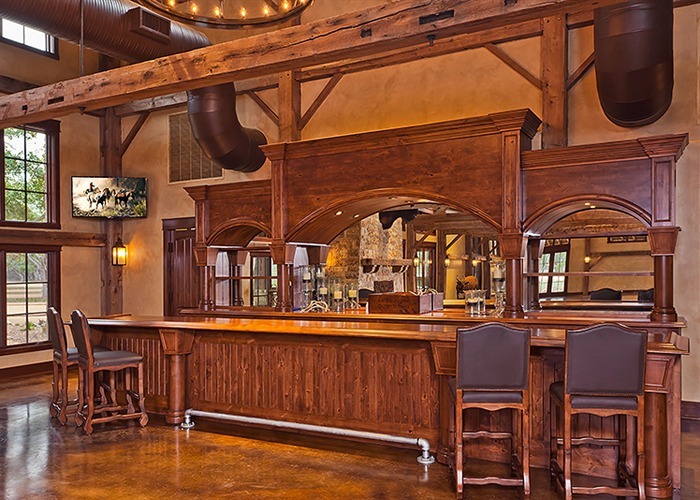 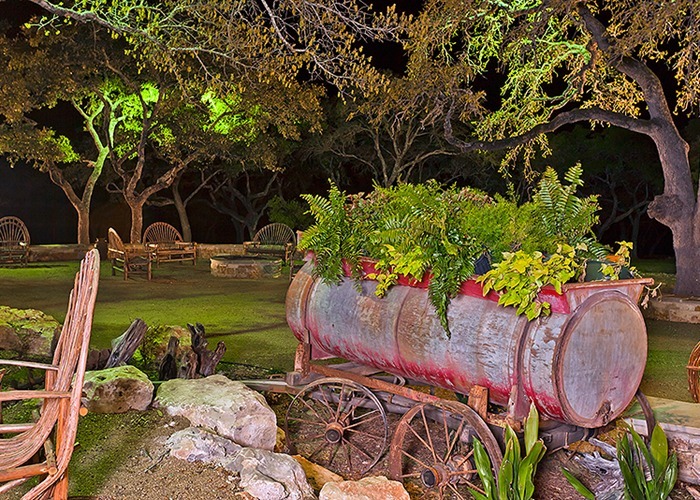 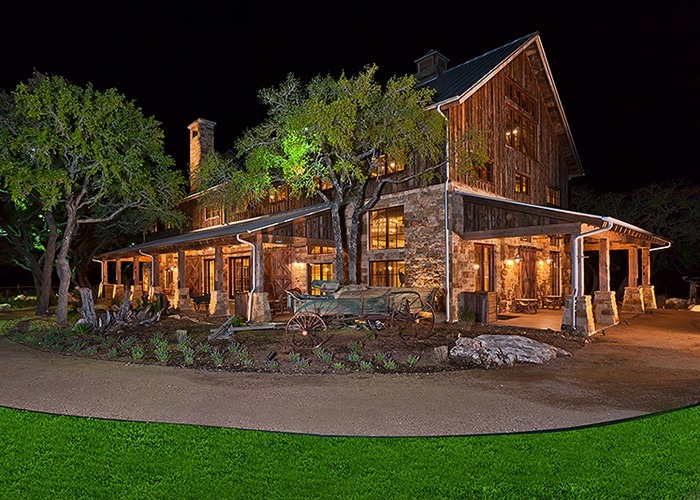 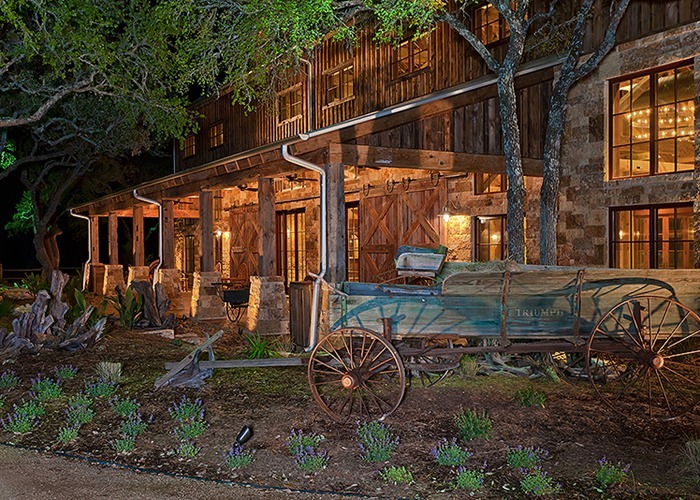 To provide the ultimate Hill Country Experience, a vintage saloon bar was meticulously restored to serve patrons and guests of the ranch, and a commercial kitchen was added to facilitate large catering party needs. 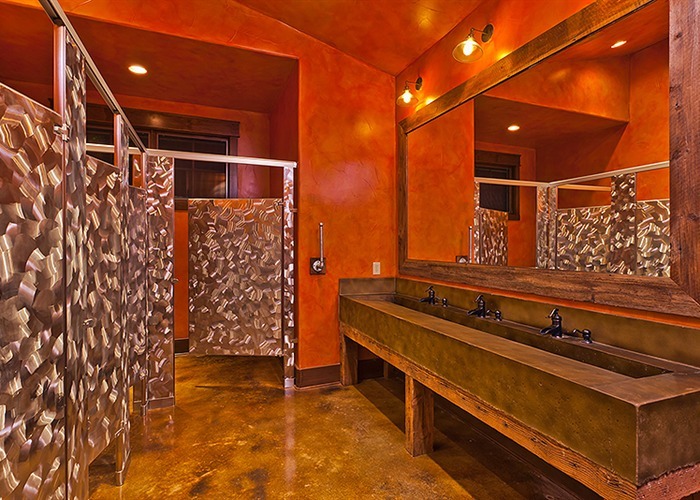 To better utilize the 2000+ sq. 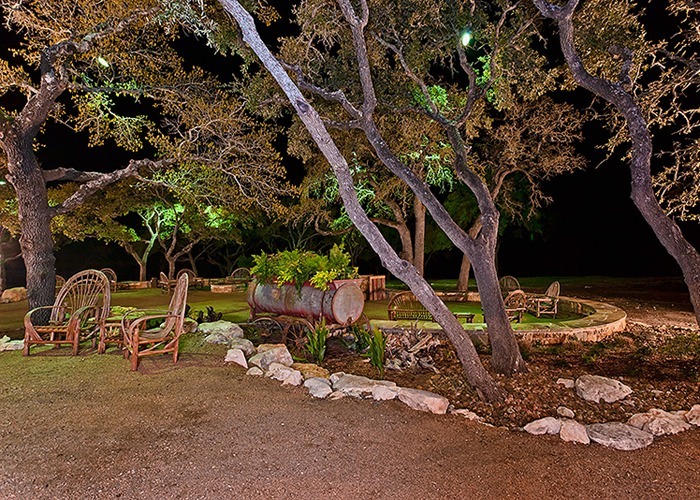 feet of outdoor living areas overlooking the lake, a stage was added to accommodate live music acts featuring local Texas artists. 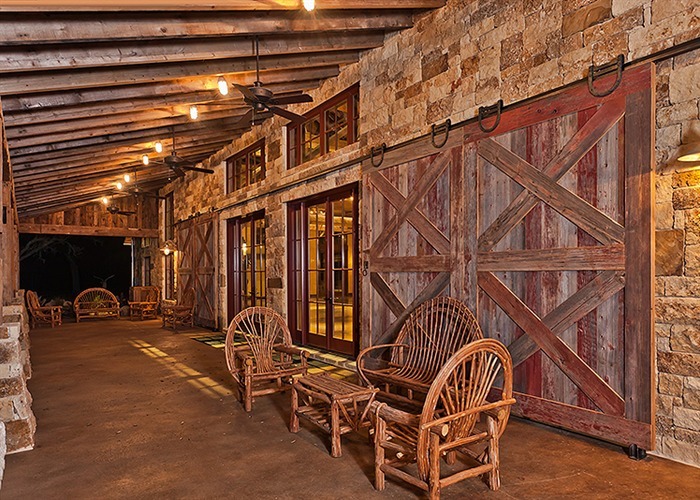 A combination of stone, reclaimed barn wood, expansive windows and hand-forged sliding barn doors provide the finishing touches to this historical structure. 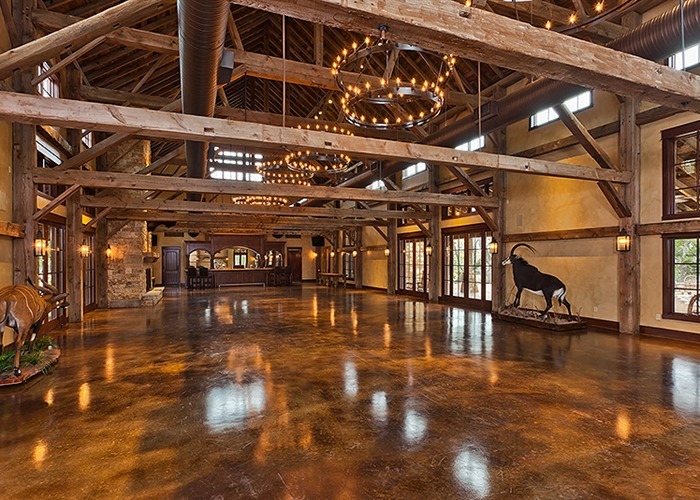 The goal of Todd Glowka Builder, Inc.’s meticulous reconstruction was to ensure the party barn would remain intact for another 142 years.